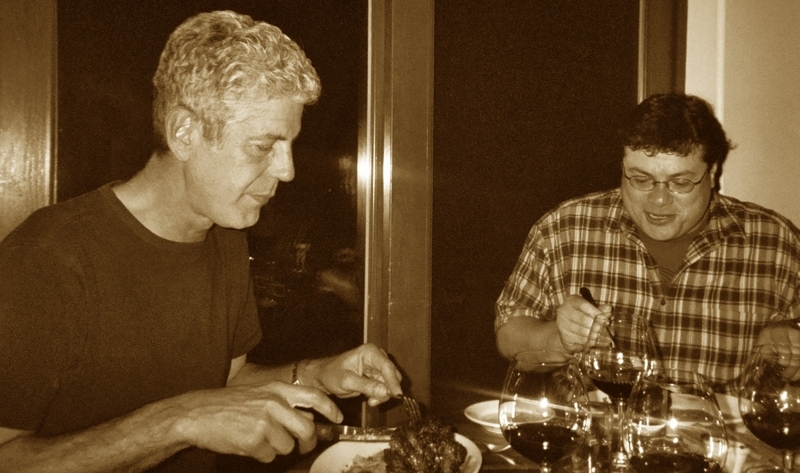 More than a few folks wanted me to know I should feel lucky to dine with Anthony Bourdain. True that. They also had questions: did I know him through this blog or somewhere else? I wish Tony knew me via my blog! The Incanto offal dinner came about through my husband Oscar Villalon, who is the San Francisco Chronicle Book Review Editor. 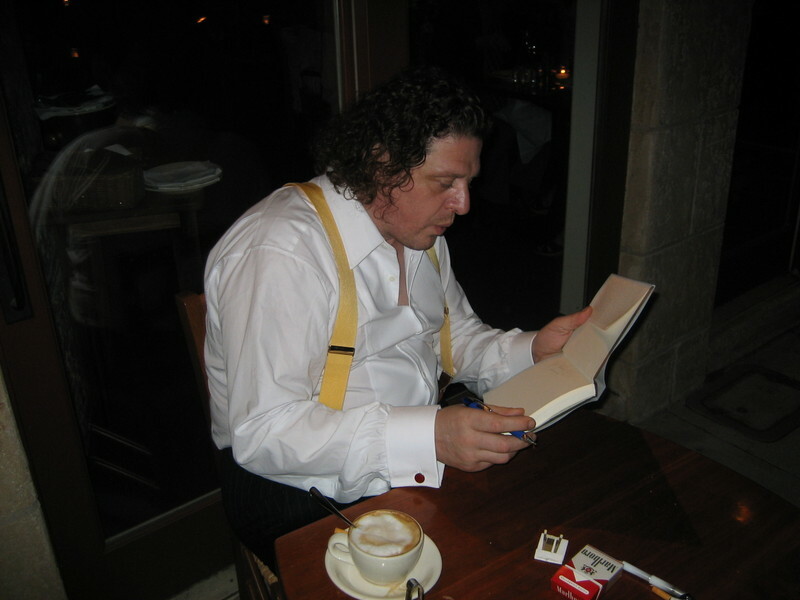 He and Tony met years ago at the Book Expo in Chicago, where Tony was peddling his first book, Kitchen Confidential. Book Expo is a place for booksellers, publishers, authors, and media types to learn about new titles coming out in the next 9-12 months. It's a schmooze and booze fest with endless panel discussions, cocktails, meet and greets, and my favorite... parties. Oscar and Tony hit it off and spent one night drinking and talking til the early morning about Graham Greene, punk rock, NYC, Vietnam and the like. While Oscar had a blast, he didn't expect to keep in touch with Tony as Tony continued to gain more fame and notoriety based on his books, TV shows and stunts like eating a still beating cobra heart. Whenever we try to make plans to hang out with Tony on our two or three annual NYC treks, he's MIA off in Turkey, Indonesia, or some other far away spot. "If you ask for me at Les Halles," his NYC eatery, "they'll tell you 'Oh, you just missed him.' " This is true for anyone, and happens all the time. The last time we met up with him, it was at the bar in his swanky hotel in downtown San Francisco. He was amazed that the Rolling Stones were fellow guests, and had this modest awe of the music giants. I remained quiet during our drinks, and spent time admiring Tony's thumb ring, which looked awesome on his tan, lean, elegant fingers. I was like a little kid, and wanted to get a thumb ring so I could have that same knowledgable cool-sexiness Tony has. He told us about drinking multiple rounds of strong vodka in Russia, and how they were some of the sweetest, nicest people around. He makes me want to travel more and eat adventurous food as often as possible. And that's a good thing.